Have you ever visualised in your mind about a place you are about to visit and when you get there its just as you imagined it to be? Well, that was the case when I visited Peters studio. It was a classic pottery workshop in every way. 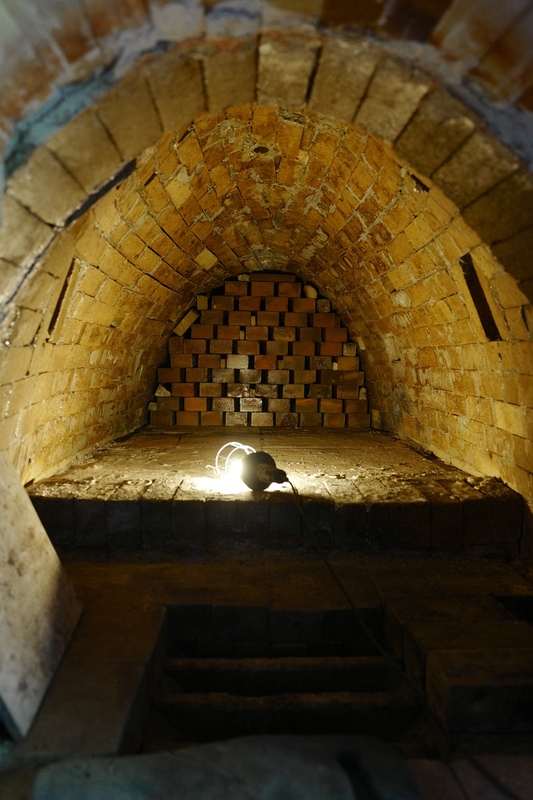 That earthy clay odour in the air, the warmth of the kiln and examples of pottery lined the shelves everywhere I looked. I’d spoken to Peter briefly on the phone prior to my visit but at the time, he never mentioned that he too was into photography and also owned a Leica. We did then witter on a little about focal lengths and other image related stuff. You do that when two of you have a love of photography. 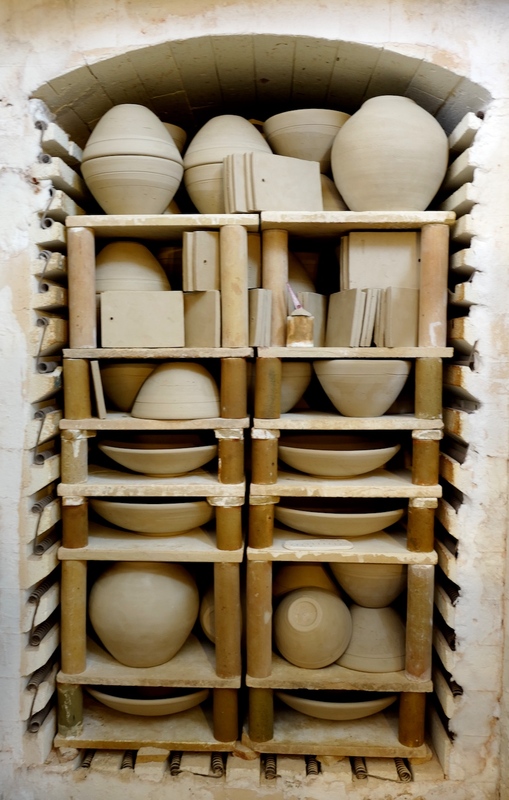 Peters love of pottery goes way back to when he first discovered the pottery department at Southampton Art College. 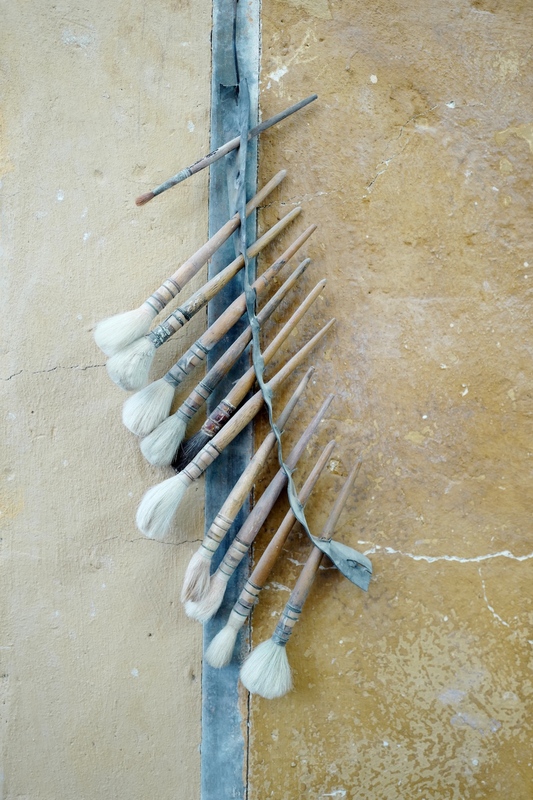 Peter is a self taught potter and he started working in potteries back in 1967. 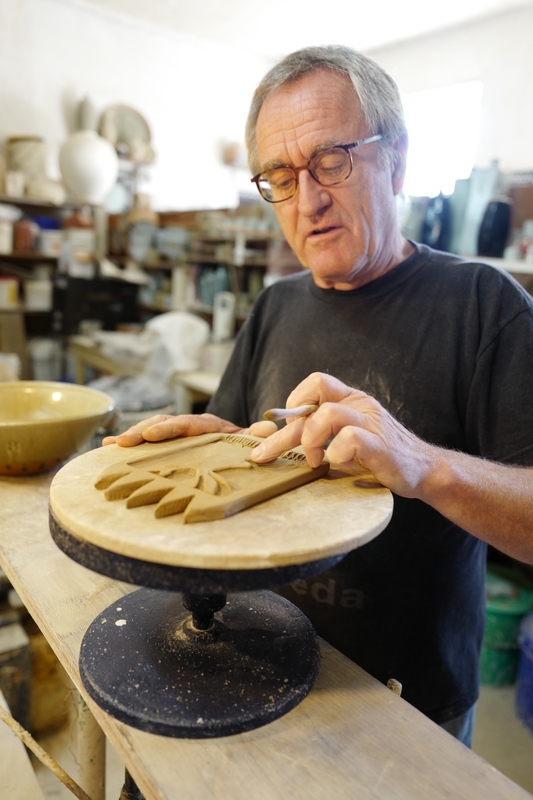 Many years later he started a new life for himself in Cornwall and a couple of years after that, he established his own pottery business working in earthenware. Peter now spends his time working in reduction fired stoneware and porcelain, specialising in specific varieties of individual Ash Glazes. 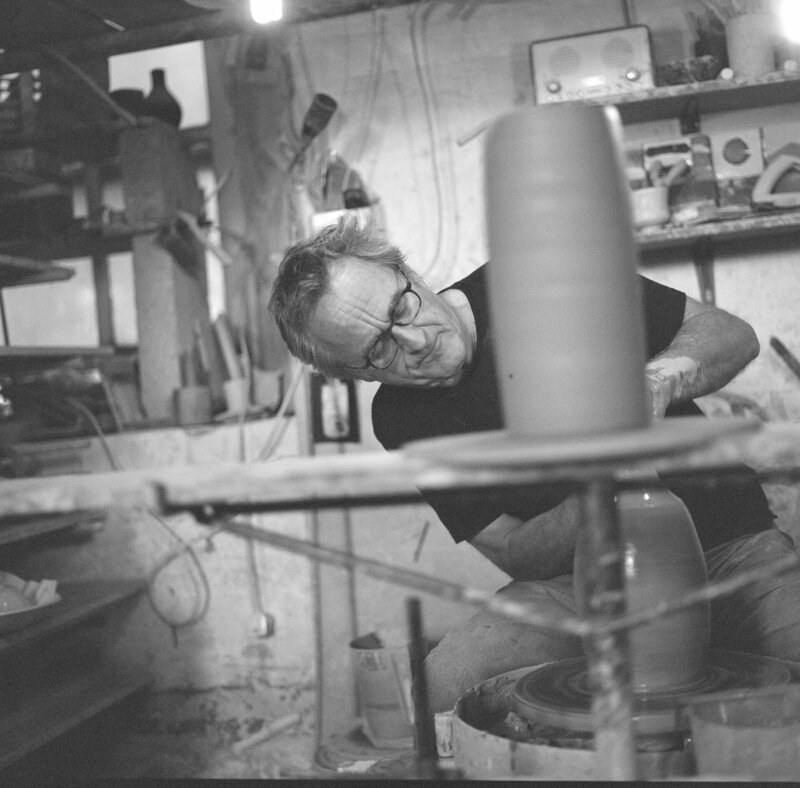 50 years on and he’s still dabbling in it and is very passionate about what he creates. He told me “I’ve been working with clay all my life. I couldn’t think of another activity that could possibly compete with it”.